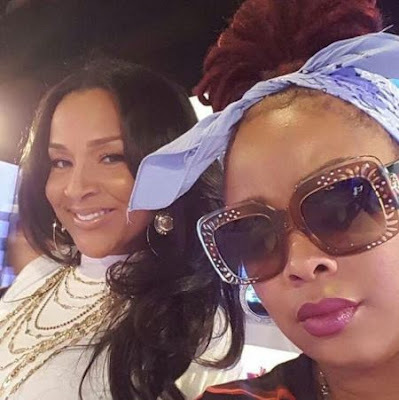 Actress Lisa Raye, 49, and rapper, Da Brat, 42, are biological sisters with the same father, David Ray McCoy, but different mothers. Ray McCoy was a well known Chicago businessman, who owned several hotels and nightclubs, and he was also known to lend money to people who wanted to start their own businesses. 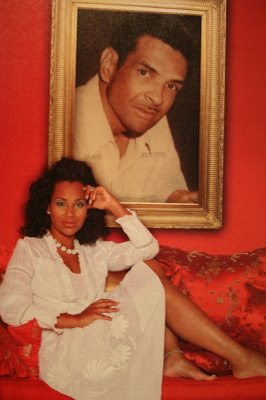 He was brutally murdered in 1988 by his girlfriend and her brother..
David McCoy (pictured in a framed photo in the above pic of Lisa Raye) was found shot to death on November 12, 1988 in the back seat of his Cadillac, which was parked in a Southside Chicago alley. He was 52 years old. McCoy's then 32 year old live-in girlfriend of 10 years, Sheila Daniels, and her then 20 year old brother, Tyrone, were convicted of McCoy's murder in 1990. Sheilawas slapped with an80 year sentence and Tyrone was hit with 60 years. 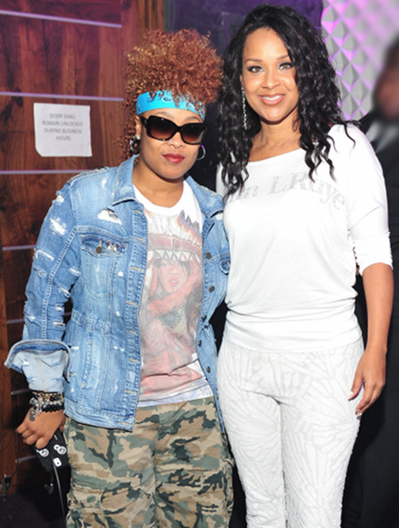 On September 16, 1997 - just one year before Lisa Raye made her debut in "The Players Club" and during the height of Da Brat's multiplatinum selling career- their dad's girlfriend, Sheila Daniels, was officially convicted AGAIN for his murder. She had appealed her original 1990 conviction and ended up getting convicted for the exact same amount of time as her prior sentence- 80 years. Throughout the years, Da Brat and Lisa Raye haven't spoken much publicly about their father's murder. Although Lisa Raye was filmed in one episode of her reality show a few years ago, crying uncontrollably, as she and her daughter visited her dad's grave site. The two sisters are extremely close and we're sure that they, along with their other sisters (who are very successful businesswomen in their own right) have made their Pops proud.